One of the most important parts of your home landscape is the area near the foundation of your home. The plantings around the foundation tie the home to the surrounding yard. These foundation plantings and beds are also used hide necessary but unappealing equipment such as air conditioners or power meters, and to soften the harsh areas of the exterior of your home. There are a number of things to consider when you landscape near the foundation of your home so that the result looks pleasing. When considering shrubs for around the foundation, pay attention to amount of sun they will get, how much water they will get due to natural drainage and drainage from gutters, and whether they will serve the purpose you seek. Do you want to use shrubs as a border, to hide a large area of exterior wall, to add color near the house? These are questions to ask. Plant varieties that can thrive in the conditions you have near the home since you can’t change the area to suit the plant. Use shrubs or small ornamental trees to soften corners of the house and create contours. Be aware of the potential height of your plantings at maturity as you decide to lower the look of a high part of the house or emphasize it. Consider whether the plants will eventually cover up your windows or crowd out your walkway, even if you diligently prune them. Almost everyone who owns a new house with no foundation plantings makes the mistake of planting too many small shrubs too close to the house and too each other. There are two reasons this happens. People just don’t realize how large shrubs grow, and they want the “mature look” now. Don’t fall into this trap because you will end up digging shrubs out later. Plant young shrubs several feet from the foundation and several feet apart, based on their mature height and diameter potentials. Even shrubs bearing tags that say they won’t get very large, usually have the potential to grow taller and fuller than stated. So. think and plan before planting. Another common mistake people make when planting around the foundation is that of alternating two different shrubs. For example, planting a yew, then a boxwood, then another yew, and so on. One good tip of general landscape planning is to group plants of the same type, using odd numbers if possible. All plants require some pruning if you want to maintain a clean look to your home. In general, evergreens require three prunings a growing season. Prune flowering shrubs to help encourage new flowers. Keep in mind what you want those shrubs and foundation areas to look like as you prune. 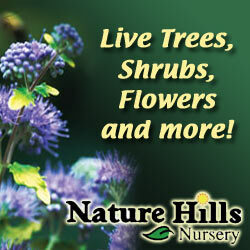 Are your shrubs getting too tall or do they need to be coaxed to fill out? Techniques and timing of pruning can help you with these situations. A Garden Railway In Your Landscape?